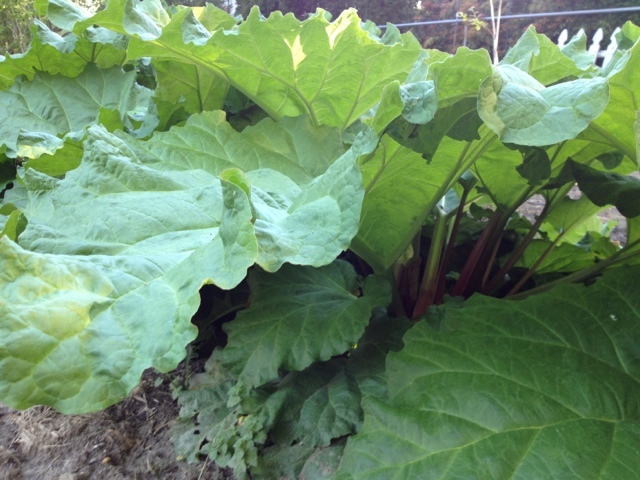 Our rhubarb is ready for harvest! What an easy going plant. It asks for nothing and gives so much. 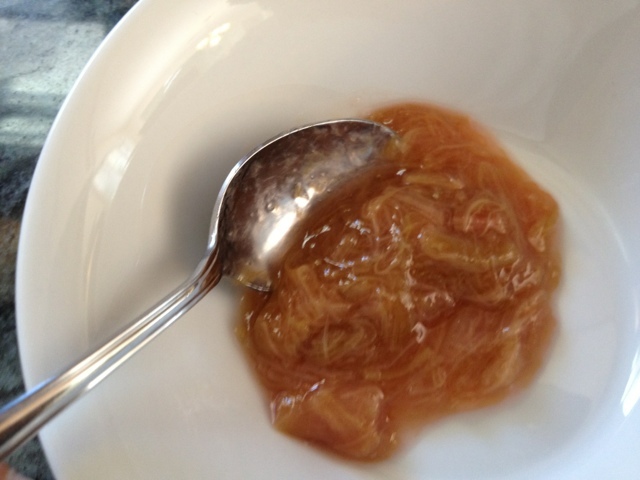 The tart of the rhubarb balances beautifully with the local sweeteners. Preheat oven to 350F. 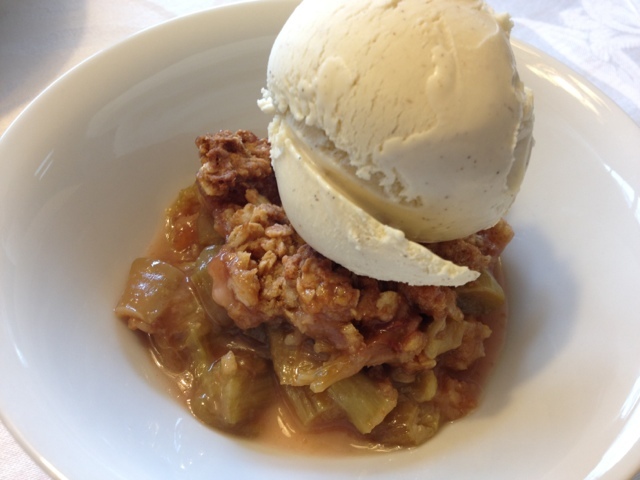 Mix the rhubarb, maple syrup, and corn starch in a 8×8 square pan. In a separate dish, cut the butter into the flour and oats. Gently mix in the honey. 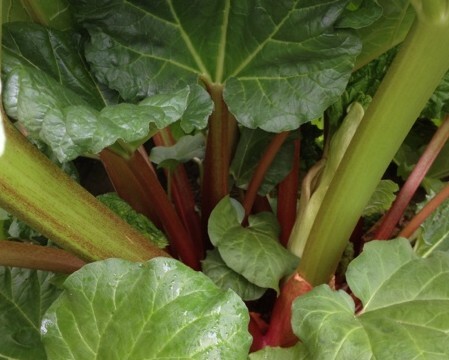 Place mixture on top of the rhubarb. Bake for 45 minutes or until golden brown on top. Serve warm and even à la mode!